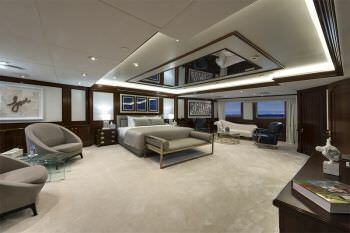 Chakra is an 86m/282ft steel-hull motor yacht, custom built in 1963 by Scheepswerf Gebr. 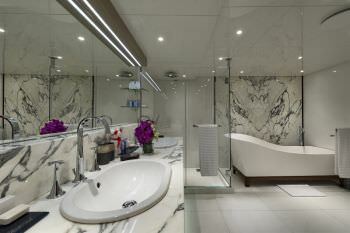 van der Werfand and converted into a superyacht at Devonport Yachts in 1998. 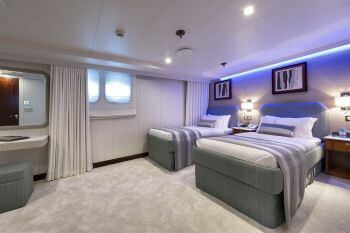 She was last refitted in 2016 by Devonport Yachts. 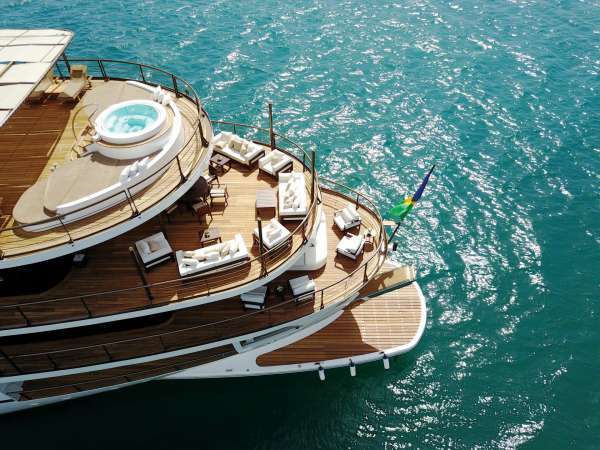 Her cruising speed is 13 knots with a fuel consumption of 800 Liters/Hr. and a maximum speed of 15 knots. 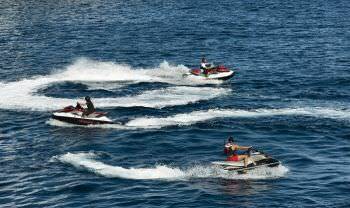 Zero-speed stabilizers reduces roll motion effect and results in a smoother and more enjoyable experience at anchor and on rough waters. 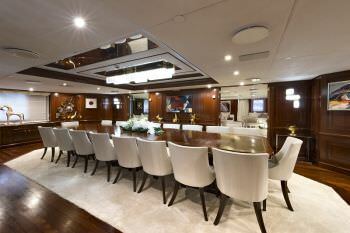 This elegant and refined superyacht’s interiors are light and sophisticated with a modern ambience, featuring timeless opulent furnishings, plush carpets and fine wood panels. 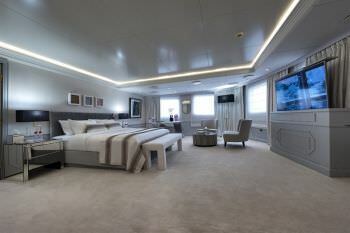 Chakra offers accommodation for up to 42 guests in 21 suites. 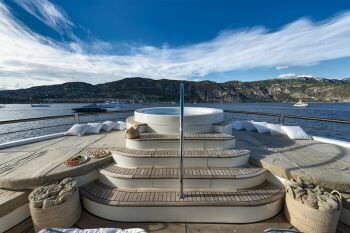 She is also capable of carrying up to 43 crew onboard to ensure a comfortable superyacht experience. 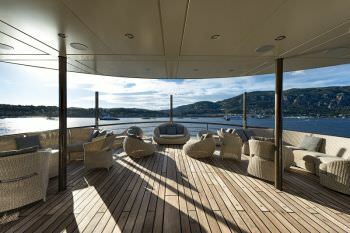 Her interior is laid over five decks, four of which are available for guests. 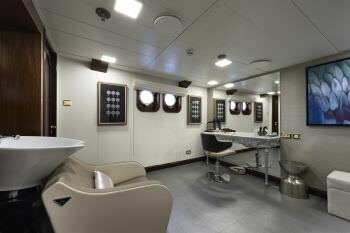 On the main deck are a large salon and a separate lounge bar with piano. 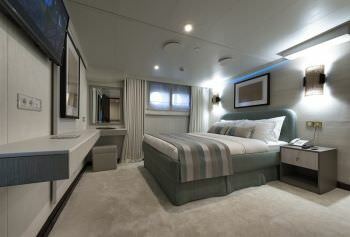 Further forward, are the en-suite guest cabins and the full beam master stateroom. 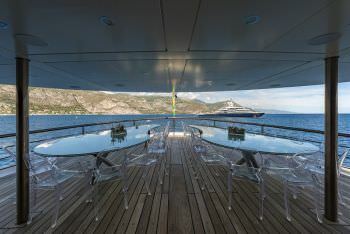 Chakra’s main aft deck has a large shaded alfresco dining area with two tables and seating for up to forty guests making her an excellent choice for large groups, corporate events or family gatherings. 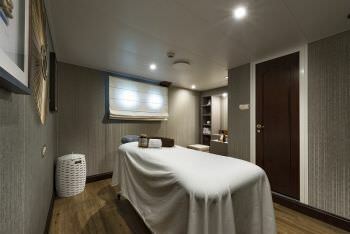 Perfect for large groups up to 42 guests in 21 cabins, lounge bar with a piano, fully equipped gym, beauty parlor, massage room, Jacuzzi, dedicated yoga area, extended swim platform and Wi-Fi. 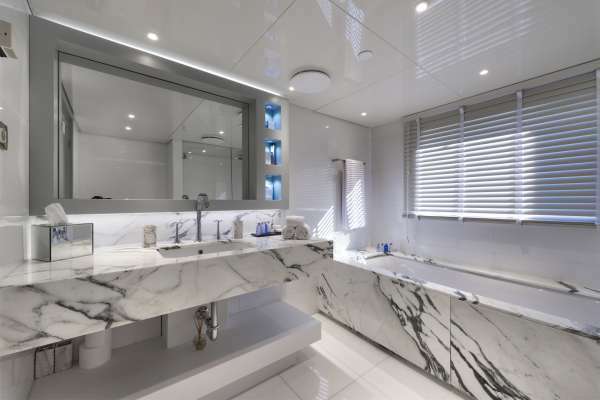 Plenty of water toys including a fully-stocked tender garage with six Yamaha Wave Runners, two RIBs, a 12 meter Sessa day boat and Scuba diving equipment. 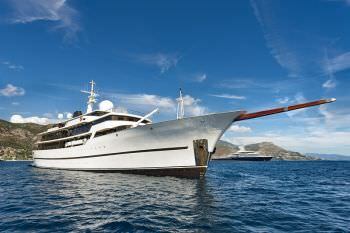 Chakra is listed for sale for € 31,900,000. 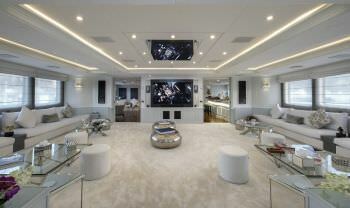 Contact Royalty Yachts for more details. 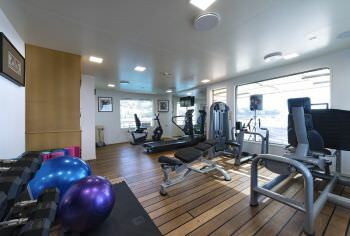 CHAKRA is a 86m (282ft) Devonport Motor Yacht built in 1998 (refit Conversion 1998 / Refit 2016) accommodating 12 guests in 21 cabins with Captain Kostas Ollandezos (30 crew) offering yacht charters in Croatia, Greece, Turkey, Spain/Balearic Islands, Italy, Naples, Sicily, the French Riviera, Corsica, Sardinia. 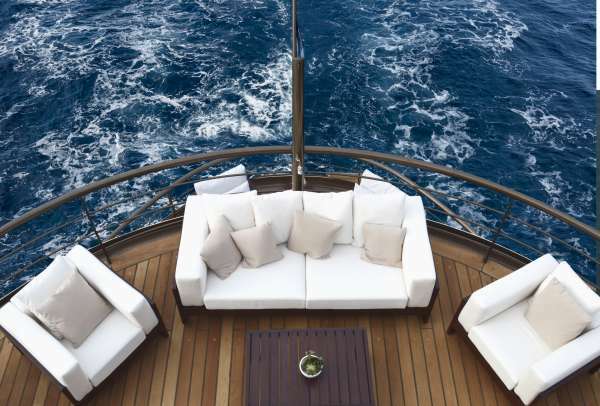 Winter Sailing Area: the Bahamas, the Leewards Islands, the BVI, the USVI, the Windwards Islands, Central America, the Indian Ocean, Red Sea, SE Asia, South America, United Arab Emirates.